Genetec develops open-platform software, hardware and cloud-based services for the physical security and public safety industry. Its flagship product, Security Center, unifies IP-based video surveillance, access control and license plate recognition (LPR) into one platform. 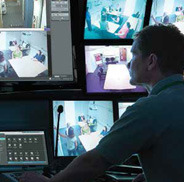 Genetec provides safer, more secure environments for small to medium-sized and enterprise-class businesses.